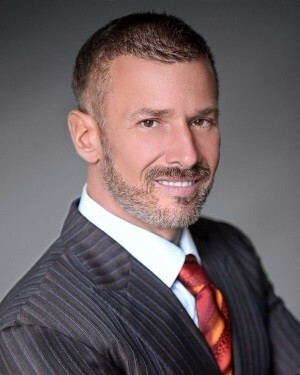 Michael Palumbo is the President and Chairman of MJP Capital, LLC. and is the controlling partner of TMT Investments, LLC. Mr. Palumbo commenced his career in 1993, with his first finance-related job as a credit analyst at Duff & Phelps in Chicago. Analyzing the bond insurance industry, Palumbo mentions that during his time with Duff & Phelps he quietly accomplished one of the greatest achievements of his career. He developed one of the first models to apply Monte Carlo Simulation as a stress test to bond insurance. Mr. Palumbo left Duff & Phelps before the model was implemented, and to this day still does not know if the firm ever actually used his innovation. Regardless, he does view the model as one of his greatest business achievements, despite not knowing whether the model was ever used by the firm. In 1996, Mr. Palumbo started Third Millennium Trading at the Chicago Board Options Exchange (CBOE) with a mere $250,000 of his own money. In 2005, Mr. Palumbo was featured in Crain’s Chicago Business “40 Under 40 Focus“, highlighting his trading income as placing him within the Top 100 Traders Globally. In 2007, Mr. Palumbo was also featured in the book: Trade With Passion and Purpose. Also in 2007, Michael Palumbo repeated his trading success, grossing another $100 million in what he often cites as one of his best trading years. What is more, by the time Mr. Palumbo exited his full GETCO position in the fall of 2008, he had for the third time in his career, booked another nine-digit multi-million dollar win. In addition, Mr. Palumbo is the President and Chairman of MJP Capital, LLC., the majority partner in Ceres Acquisitions, LLC. and Ceres Tech, LLC.